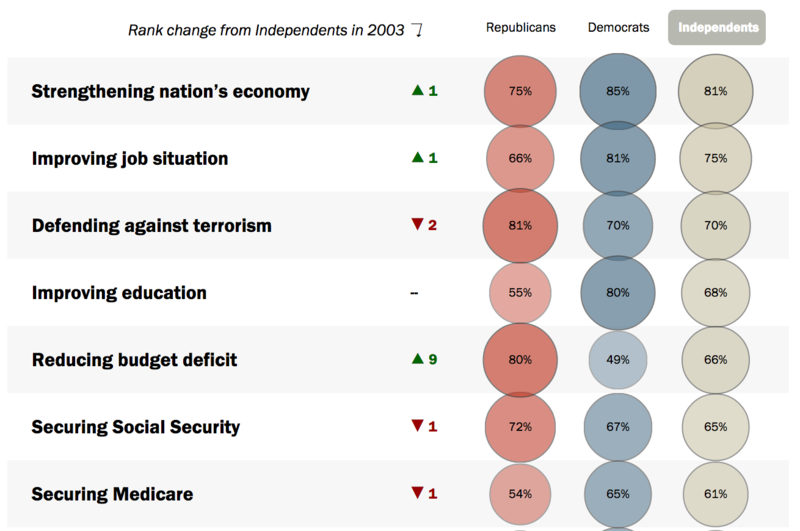 Each year the Pew Research Center for People and the Press surveys the public on their top priorities for government in the coming year. Displaying the trend of these priorities shows the shifting attention of the public over time. More interesting is comparing these priorities over demographic breaks.